New modern House, Furnished very spacious Bedroom available with TV antenna point, large walk in wardrobe and spacious ensuite, ceiling fan and still plenty of room for a desk and own dressers if required. House also has a lovely alfresco area, Great kitchen and Walk in Pantry with lots of space and a second TV/Media room. 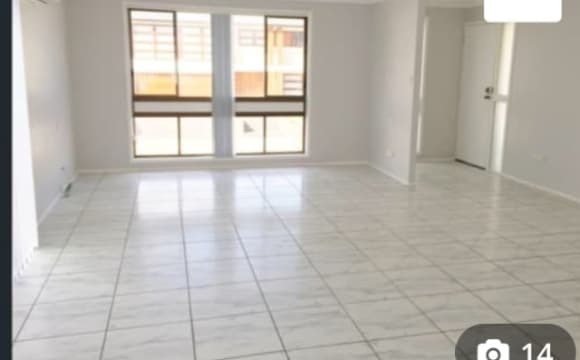 House is 5 mins walk to shops incl Coles and New Woolworths Supermarket, Drs, Pharmacy, Bakery, Hairdresser, Takeaway, Bus routes etc, Very close to Wyong Hospital. Looking for a mature Female flatmate, clean living with a sense of humour and is OK with a friendly Cat. 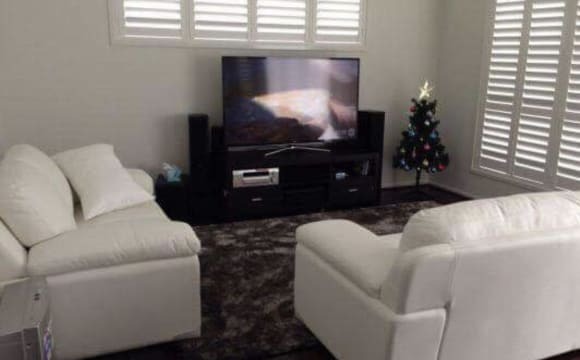 Includes NBN, Netflix, Fetch TV, Electricity, Gas and Water. New duplex from 2018. Fully furnished with modern technology (dishwasher/washer/dryer/fridge/air conditioning/60"4k tv) and optic fibre NBN 100/40 speed. Built in wardrobes with additional storage space. 15minutes to beaches and 5 minutes to major shopping centres and freeway. Great neighborhood in a new housing development. This brand new home is spacious &amp; inviting. It is only a year old and located in a central place close to medical centres (in our street) schools and bus stops &amp; the train station just down the road. 10 minute drive to Lake Haven shopping centre &amp; 10 minutes to Tuggerah Westfield. We are 2 minutes of the M1 freeway so great people who commute! Air conditioning, dishwasher, the home is fully furnished bar your room, where you’re free to bring whatever of your furnishings you like to make it your own. This is a beautiful area and all our neighbors (in this new estate) have recently moved in! This brand new home is Close to the Freeway for someone who commutes / travels a lot. 10 minutes from Westfield and only a few minutes to our local shopping centre which has all the major retailers as well. It’s a brand new area in woongarrah and the estate so it’s a great neighbor hood to live in as all our neighbors are new as well. There’s a medical centre right opposite the house and bus stops and a train station close as well. The house has a dishwasher &amp; all spacious rooms, plenty of light &amp; warmth throughout the home. Comfortable new home. Ducted air, gas heating and internet(wifi) included. 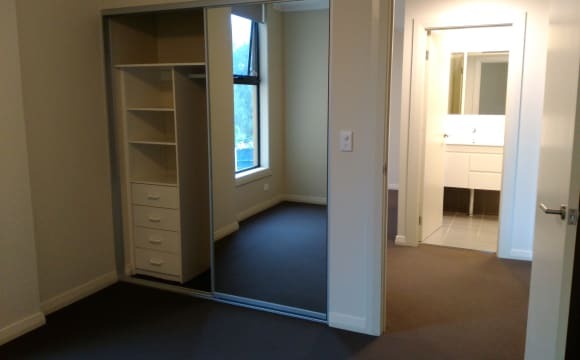 Room is complete with built in and includes own bathroom. Gas hot water and cooking. Heated outdoor spa. Three lounge rooms. Close to gyms, shopping centres sporting fields etc. Quiet street. Quality estate. Easy going professional male owner/Flatmate. Includes Netflix, internet, water, electricity. We are close to Wyong hospital, Lake Haven shopping centre, 2 mins from the lake, 2 mins from two service stations and row of takeaway shops, 5 minute drive from medical centre. Modern 2 Storey Home, offering 1 bedroom with built-in wardrobe, share bathroom and separate share toilet!! Street parking and share laundry!! 2km to Tuggerah Train Station and Freeway with access to Newcastle and Sydney!! 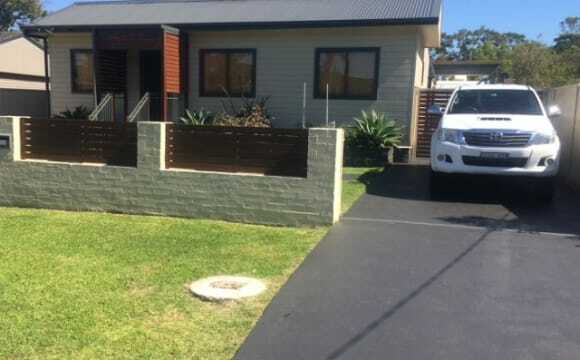 Bus Stop on doorstep and 2km to Tuggerah Westfield Shopping Centre!! 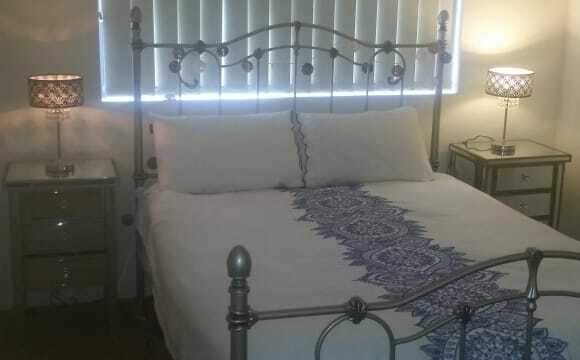 Close to beaches, most amenities and Wyong Hospital!! $300pw, including electricity, gas, water and unlimited wifi!! Available Saturday the 4th of May, 2019!! Initially a 3 month lease, then will review after that!! Pls contact me on my email, if you would like to view the property asap!! 3 bedroom duplex in a Quiet street. 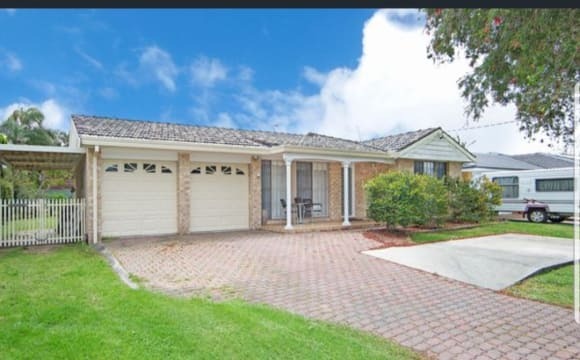 5 minute walk to Westfield tuggerah and train station. 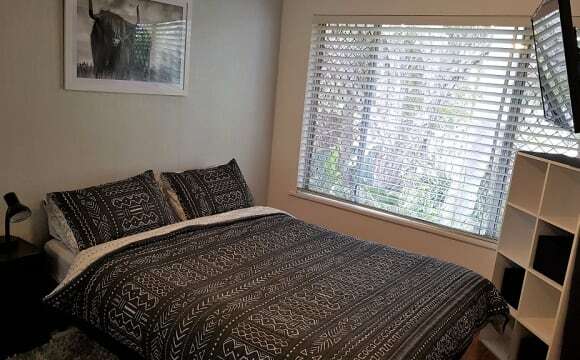 Fully furnished room in modern, spacious home. The home is quiet and centrally airconditioned/heated for your comfort. It’s the perfect place to retreat from work or study to relax. Your private room is fully furnished with a queen bed and desk facilities. Your desk is laptop ready with a monitor, wireless keyboard/mouse, and wireless NBN Internet. Two minutes drive to restaurants and cafes at Tuggerah Westfield. 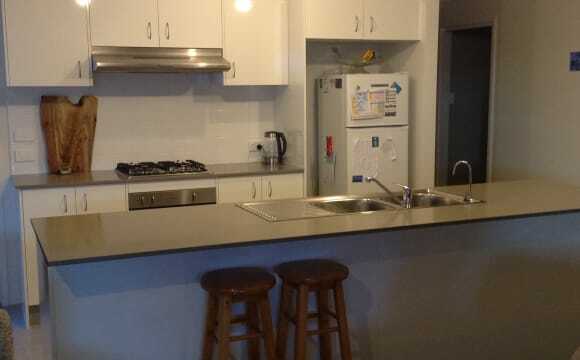 Five minutes drive to Tuggerah train station. 20 minutes drive to the beach. One hour, 15 minutes drive to Sydney. Rent covers all bills except food. The beach and lake being super close! My two housemates are so easy to live with and keep the house clean and tidy. Close to the centre of The Entrance where there’s lots of restaurants, cafes and things to do. 3 bedroom beach house with big living area &amp; outdoor area. 10 metre walk to the beach. 10 minute walk to the lake. 20 minute walk to shops. 2 easy going house mates. House is always kept neat and tidy with respect for each other and each other’s space. Looking for a clean housemate with a full time job. 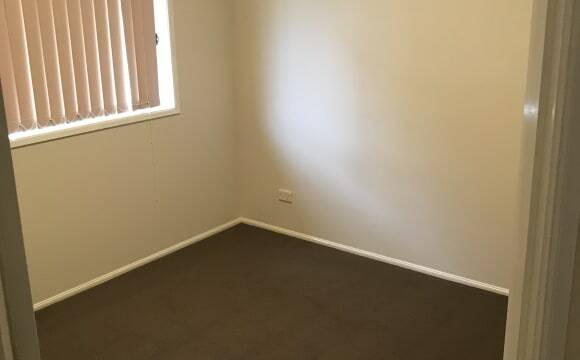 The house has 2 living areas, each with TV, and the backyard is a nice place to relax with a large undercover bbq area.There is plenty of secure storage available if you need and the room is available now for the right applicant. Its new build Nov 2017 the rent is cheap with bills included. The room is unfurnished and has a built-in robe and ceiling fan, with the main bathroom for your sole use. Parking is available on the street. Storage cage for bulky equipment available. The apartment complex has secure entry and intercom. The spacious living area is air conditioned, and features sliding glass doors opening onto the tiled patio area. The kitchen features stainless steel appliances. All bills (electricity, gas, water, internet) will be split equalling. Internet available but not connected as yet. Unfortunately no smoking and no pets allowed. Its a 4 bedroom house and I'm looking to rent out 2 rooms and keep a spare. I'm currently living end by myself so any housemates will have a bathroom to themselves. 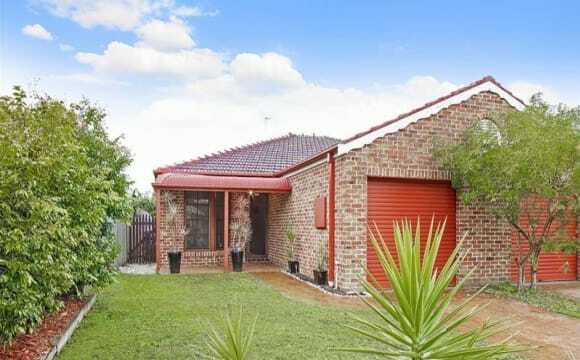 Backyard is fairly big with plenty of room for activities Close to shops, public transport, schools and the M1 freeway. I've got Foxtel (mainly for sport), NBN internet and Air Con. Home has a pool and backs onto a beautiful bush outlook. Close to the bus stop and shops. The room is not huge however the right person will be sharing the whole home. Wifi and all bills included. I am also happy to do your washing. This room is ready to go! It would ideally suit somebody short term with a suitcase in hand. Longer term is available to right person but month to month is preferred to start. Room is fully furnished including linen and towels. It has a queen size bed, double wardrobe and wall mounted TV with Chromecast device. 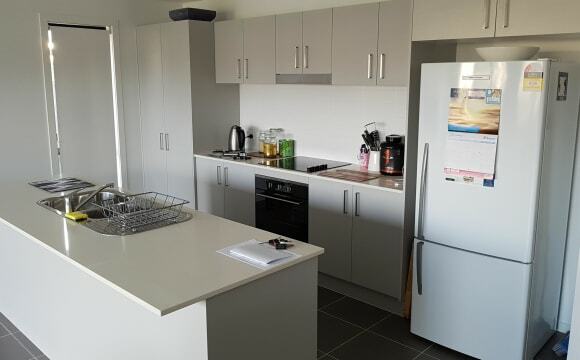 You have access to a fully equipped kitchen and laundry along with the loungeroom at the front of the house. We are walking distance from Tuggerah Lake and local shops. There are plenty of bus stops close by. We love the area because it's not far from Shelly Beach or if you want to shop there's a Westfield down the road. We live in a family area and respect our neighbours, so no party goers please :) Would prefer a quiet person that works full time. I'm sorry but no pets. The room is available from Now. 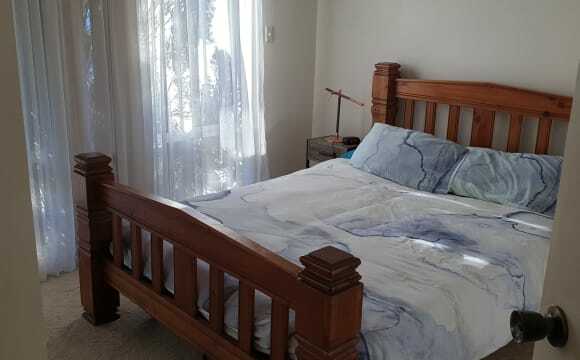 This house is within 10-15mins walk of Jenny Dixon beach and Aldi. It is a young house and is near the bus stop for Lake Haven/Wyong and near the stop for a bus to Bateau Bay Square/Wyong hospital. Its a small house, but has 2 decks. There are ceiling fans in all rooms but no A/C. There is also a BBQ available for use. Visitors are allowed in moderation but no overnight guests unless agreed to. 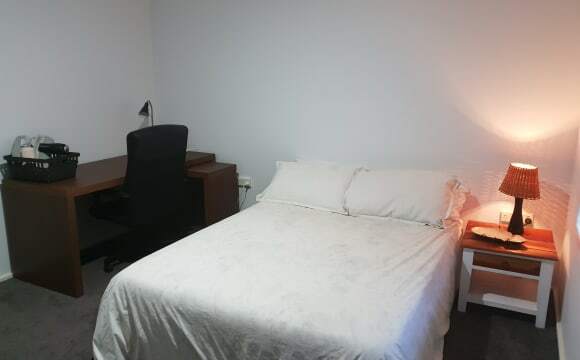 The room for rent has a queen size bed, a bedside table and a large BIR. The room faces south. It has a ceiling fan. I tether my phone to my laptop and use the data from my phone for internet access as there is no landline to the house. There is s requirement to pay 2 weeks rent in advance.